he Best of Game card series was released as a pseudo-parting gift when Wizards knew their contract was coming to a close. As such, this set includes a mixture of five fan favourite cards and four brand new cards. The 5 old cards remain in their old style but are now completely reverse holographic. 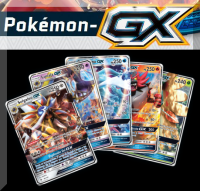 The new cards are cards based upon Promo cards in Japan released during the VS era and focus on two Rocket's cards and two Dark Pokémon cards.